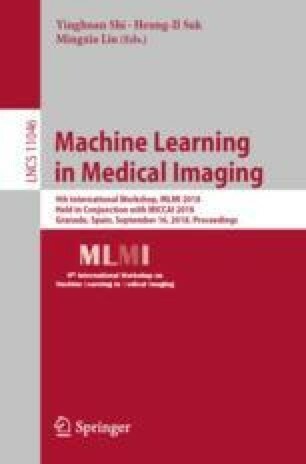 In spite of the compelling achievements that deep neural networks (DNNs) have made in medical image computing, these deep models often suffer from degraded performance when being applied to new test datasets with domain shift. In this paper, we present a novel unsupervised domain adaptation approach for segmentation tasks by designing semantic-aware generative adversarial networks (GANs). Specifically, we transform the test image into the appearance of source domain, with the semantic structural information being well preserved, which is achieved by imposing a nested adversarial learning in semantic label space. In this way, the segmentation DNN learned from the source domain is able to be directly generalized to the transformed test image, eliminating the need of training a new model for every new target dataset. Our domain adaptation procedure is unsupervised, without using any target domain labels. The adversarial learning of our network is guided by a GAN loss for mapping data distributions, a cycle-consistency loss for retaining pixel-level content, and a semantic-aware loss for enhancing structural information. We validated our method on two different chest X-ray public datasets for left/right lung segmentation. Experimental results show that the segmentation performance of our unsupervised approach is highly competitive with the upper bound of supervised transfer learning. The work described in this paper was supported by a grant from the Research Grants Council of the Hong Kong Special Administrative Region (Project no. GRF 14225616) and a grant from Hong Kong Innovation and Technology Commission (Project no. ITS/426/17FP).